I finished reading Jay W Lorsch and Emily McTague’s article “Culture Is Not the Culprit” in the April issue of Harvard Business Review. I couldn’t agree more with their central thesis that culture isn’t something you “fix” but rather cultural change is what you get when you put new processes or structures in place to tackle business challenges. As someone whose work involves connecting NEEDS with the WAY of implementing processes or structures, I can’t help but think that a great change management plan is not change then culture but rather one AND the other. Yes, one might come first as a natural first step but just as left and right brain thinking is the hallmark of great leadership, cultural change and organizational change go hand in hand. I don’t agree with only focusing on CULTURE but if there is no CULTURE to support change than change management will lose its effectiveness. “CULTURE eats strategy for breakfast”…Peter Drucker used to say. I have always been inspired by Fashion: art present in our daily lives. As I grow with my consulting practice I have learned that management is an art. In fact, Peter Drucker described management as a liberal art…. liberal because it relates to leadership, wisdom, knowledge and knowing oneself…art because it is practical and applied. 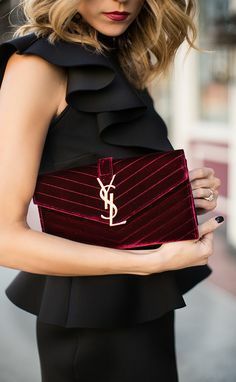 Here is this week’s business inspiration courtesy YSL.